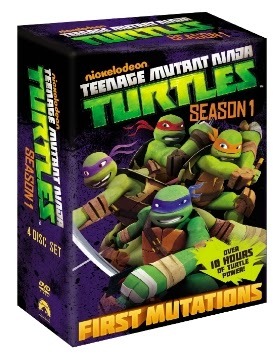 Get ready to relive all the nonstop ninja action in this awesome boxset that includes all 26 episodes of The Teenage Mutant Ninja Turtles. Straight from the sewers they enter NYC and face forces of evil beyond their imagination. 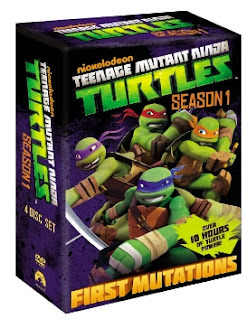 Join the four crime-fighting brothers Leonardo, Raphael, Donatello and Michelangelo as they take down robotic kraangdroids, mutated villains, and the merciless leader of the Foot Clan, Shredder! I was always a fan of Donatello as a kid but now my son watches it I prefer Michelangelo. Michealangelo was my favourite too! I loved Mikey! I used to watch them after I came home from school. I would say Donatello was my fave!